We have issued another model made by Z-Art. 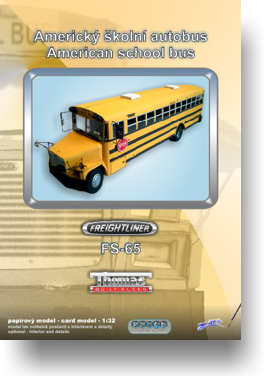 this time it is an American school bus Freightliner FS-65.You can assemble the model with interiors and engine, or you can skip these for an easier version. The model contains a set of letters to write a school´s name etc. on the side of the bus.